The GOIL station, near Kwame Nkrumah Interchange in the city's downtown area, was being used as a shelter from heavy rains and flooding from several days of flooding in the city, and was packed with people, cars and buses, waiting to leave to their various destinations when the explosion occurred. The source of the explosion is unknown though believed to have occurred in the station's fuel tanks. One survivor stated that the power had gone out before the explosion, but after the power was restored, they heard a "pop" and then the fire erupted. About 96 people taking shelter at the station were killed by the fire. Due to the flooding, water had mixed in with the fuel, and when the tanks exploded, the water exacerbated the spread of the fire to nearby buildings, killing additional citizens. The ongoing rainfall and flooding made rescue efforts difficult. So many bodies were taken to the 37 Military Hospital, the largest specialist hospital in Ghana, that the morgue was overwhelmed. Ghana's president John Dramani Mahama visited the site, and called for three days of mourning over the losses starting on 8 June 2015. He also authorized a GH₵ 60 million ($14.5 million) recovery fund. President Mahama stated that he would start to push for legislation to prevent building on waterways in order to prevent such accidents from happening again. The incident is a worst disaster for the country then the 2001 Accra Sports Stadium disaster where 127 people were crushed in a stampede during a football match at Accra Sports Stadium. Deeply saddened to learn of the tragic incident at a petrol station in Accra in which so many people died or were seriously injured, the Holy Father sends heartfelt condolences to the relatives of the deceased and injured, to the authorities and to the entire Nation. His Holiness commends the souls of the departed to Almighty God and willingly invokes the divine gifts of consolation and strength upon those who mourn and upon all who have been affected by this tragedy. ^ "Update: over 250 dead in Accra filling station explosion". VibeGhana.com. 4 June 2015. 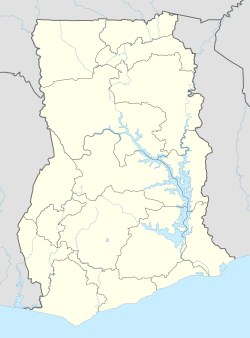 ^ "Over 200 killed in Ghana gas station explosion". Zee News. Retrieved 8 June 2015. ^ a b c d e f g "Ghana petrol station inferno kills at least 150 in Accra". BBC. 4 June 2015. Retrieved 4 June 2015. ^ "78 killed in blast at petrol station in Ghana's Accra". Al Jazeera. 4 June 2015. Retrieved 4 June 2015. ^ "Blast at Ghana petrol station kills about 90 people". Reuters. Retrieved 4 June 2015. ^ Baiocchi, Francisco (4 June 2015). "UPDATE: Disaster! Many dead in fuel station fire". www.graphic.com.gh. Retrieved 4 June 2015. ^ Faith Karimi and Chris Lett, CNN (5 June 2015). "Ghana gas station blast kills those fleeing flooding - CNN.com". CNN. ^ Nossiter, Adam (5 June 2015). "Gas Station Explosion in Ghana's Capital Kills Around 100". The New York Times. Retrieved 4 June 2015. ^ "Ghana petrol station inferno kills scores in Accra". BBC. 4 June 2015. Retrieved 4 June 2015. ^ "Accra floods: More than 100 feared dead after explosion". Daily Guide. 4 June 2015. Archived from the original on 7 July 2015. Retrieved 4 June 2015. ^ O'Connor, Roisin (4 June 2015). "Accra floods: More than 70 people reported dead after petrol station fire in Ghana's capital city". The Independent. Retrieved 4 June 2015. ^ Gadugah, Nathan (4 June 2015). "Floods: Mahama declares 3 days of mourning". Myjoyonline.com. Retrieved 6 June 2015. ^ "President Mahama Announces 3-days of National Mourning & 60 Million GH. Cedis to Support Flood Victims". gbcghana.com. 4 June 2015. Archived from the original on 2015-06-06. Retrieved 6 June 2015. ^ "Il cordoglio del Santo Padre per il devastante incidente in una stazione di servizio ad Accra (Ghana)". vatican.va. This page was last edited on 22 March 2019, at 20:23 (UTC).